My mirror arrived back from the aluminizing service, 30 dollars was a steal! Mirror looks great. I have also roughly assembled the telescope, though I haven’t got it quite working yet. The mount needs some work, as well as the position of the mirror cell in the tube. The white pain job makes for a nice, clean completed telescope. After 4 months of work, my telescope primary mirror is finished. I started this project on the 18th of August and finished on December 31st, with a few hours to spare before the new year. I thought that would be a goal, because I’m going to submit my work (a report basically) to win the National Young Astronomer Award, from the Astronomical League. The winners (first, second, and third prize) get an all expense paid trip to the ALCON (Astronomical League Convention) and of course the prize. First place wins a five inch refractor telescope- a pretty good prize, see the details of this scope here. Anyway, the telescope mirror is finished and that’s a huge part of the telescope. For the reflective optical coating I chose Destiny. My mirror will run a mere 30 dollars- after checking other companys, they averaged about 50 dollars for a mirror of this size. I also bought a secondary mirror and spider for a small sum. 1/10th wave optics, 1 inch size, 15 bucks is pretty hard to beat. Upon finishing my mirror, I counted up all the time working on my mirror, from start to finish. Total time of the glass in motion was over 25 hours! It may seem like not that long, but it feels longer because of the precision I had to maintain during the process. Total polishing time clocked in at 6.7 hours- a little longer than expected. But it’s rouge, one of the slowest polishing compounds you can buy. And it was worth it considering that it is said to give a finer polish than Cerium Oxide, which is also three times the polish. Oxide polishes faster, but the increased price was not worth it to me. 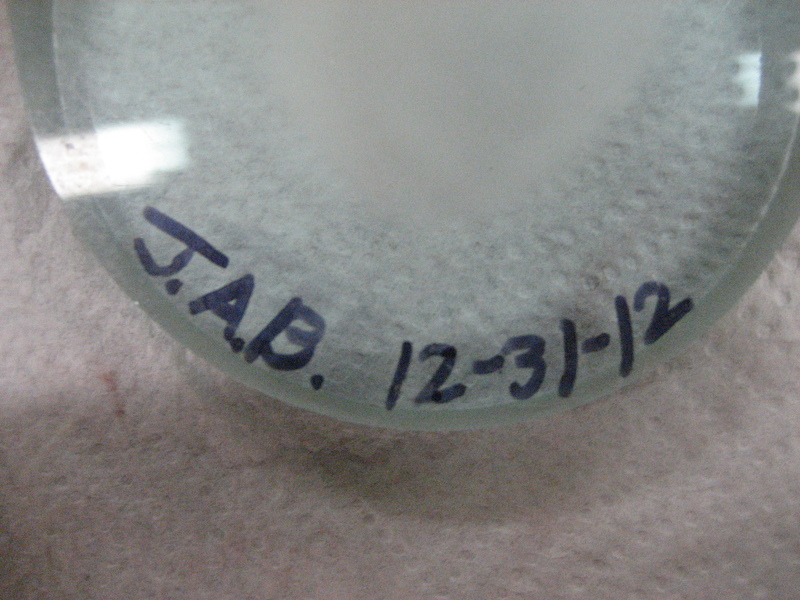 For me, one of the most important parts of the telescope making project is putting your initials and the date you finished it on the back of the mirror. It was just as exciting as I thought it would be. It may seem insignificant, but I liked doing it. Also completed was the mirror support, or cell. It consists of two circular pieces of wood, one the size of the mirror and one the size of the telescope tube. The mirror sits on the upper piece, and is secured with “L” shaped clamps. In between the pieces are 3 long screws, and attached are 3 springs. Next comes the wooden piece for the tube. 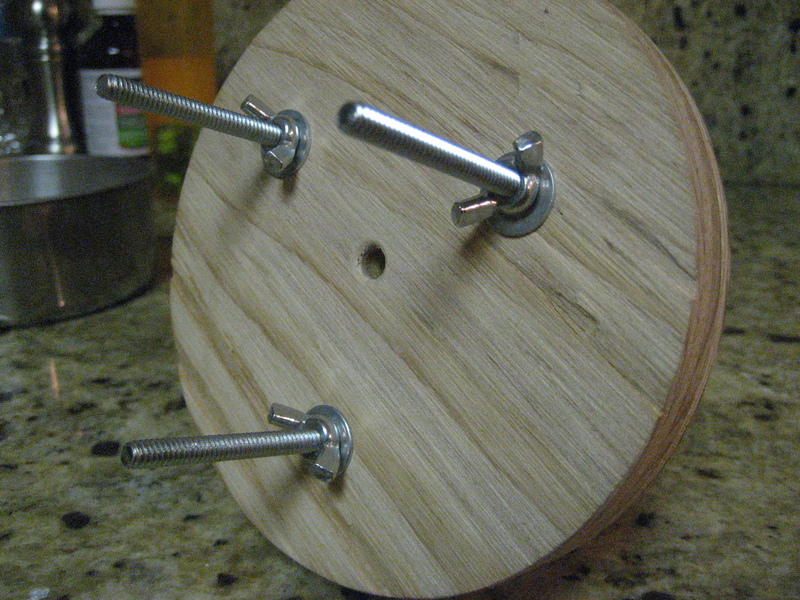 Under that, the the ends of the screws are exposed, and wing-nuts are then threaded on. 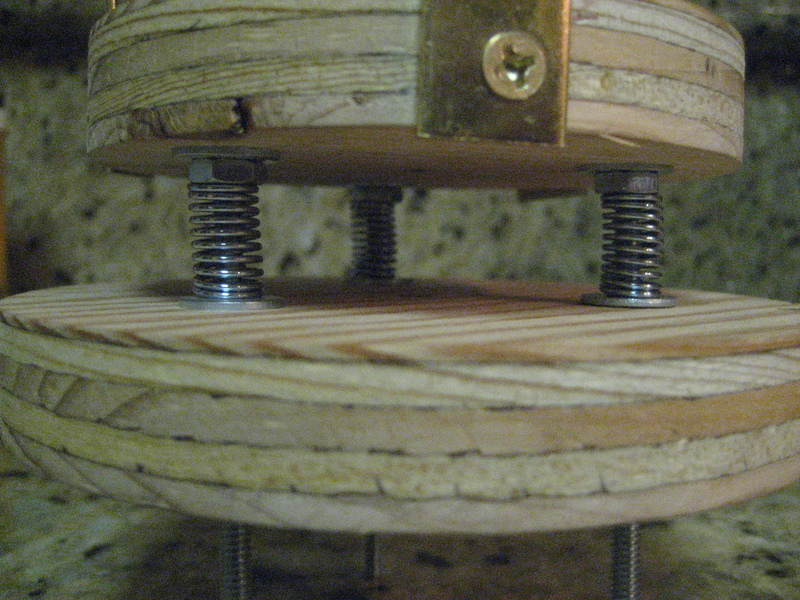 By twisting on of the wing-nuts, it compresses the spring and moves the mirror on top slightly downward on that side of the mount. Pretty good huh? I bought an aluminum tube at the hardware store for 7 dollars. It is five inches round, so the bottom piece of the support matches that. Obviously, the “L” clips will need to be painted black and other stuff to eliminate reflections. There’s not that much left to do on the scope really. 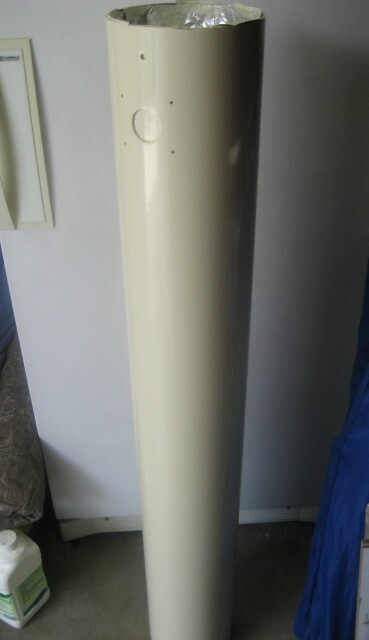 I had the bottom base for the Dobsonian mount finished- with a CD as the bearing material, which works really good by the way. I’m building a mount similar to this. 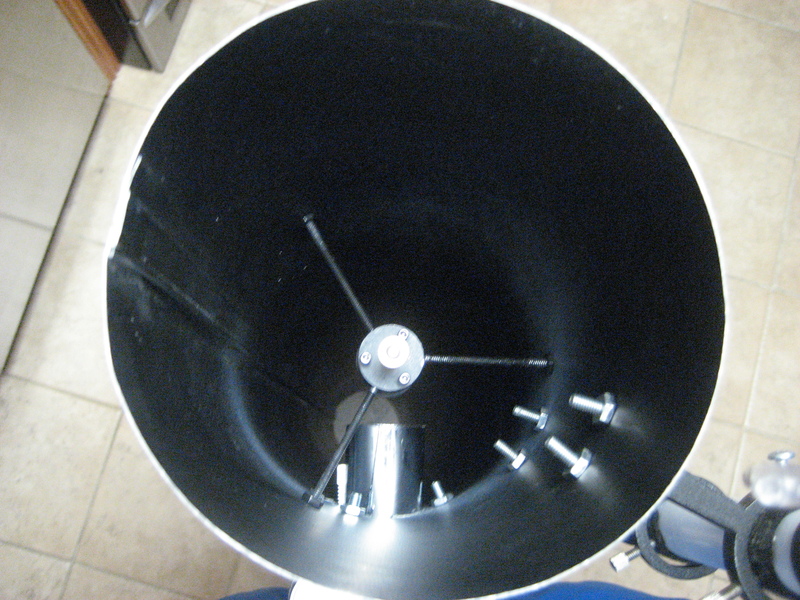 Well to wrap things up, I finished a big important part of my telescope and I’m glad I took my time with it. Pretty soon I’ll be gazing upon galaxies and nebulae. I think the biggest help will be the aperture. If you’ve heard great things from Orion’s Skyscanner, my scope has the same aperture. It also has a much longer focal length (f-12) and should, if collimated correctly, provide sharper images. I’m waist deep in the polishing process of the telescope making project, for me this is the final stage. As I stated at the beginning of this project, I would omit the Foucault test as well as figuring of the telescope glass. In truth, I had to make 2 pitch laps. The first one was okay, but now very good. The “channels” that were cut were far too shallow, and the lap came out lopsided. 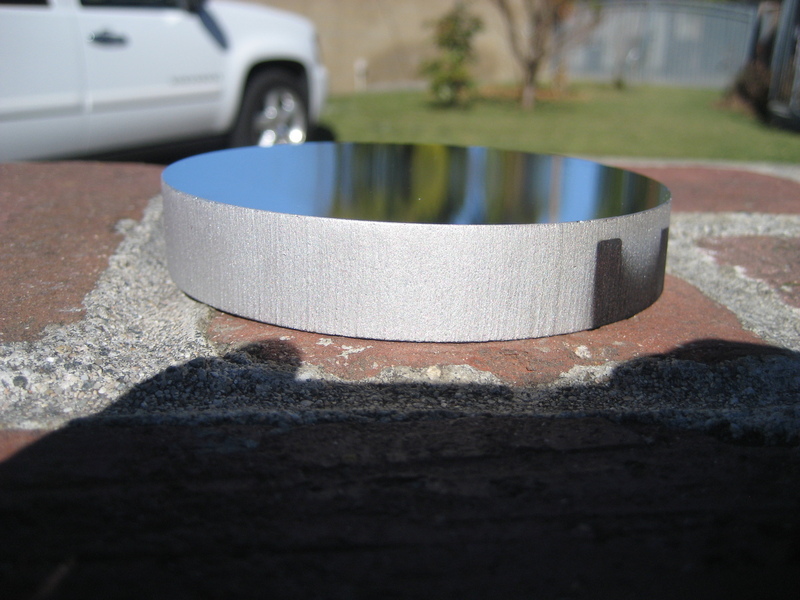 Besides, I got a little anxious to finish this mirror and polished before fine grinding was done. So I had to scrape off the lap with a knife and return to fine grinding. How did I know? Well, the surface was more frosted than it should have been for starters. Also, I found that there was a scratch that went unnoticed. Now, before I get into the whole process, because it is an involved one, let me state that this only one way of making a pitch lap. There are probably hundreds of ways (no I’m not kidding) to make a successful pitch/wax lap. All of the books I read on this stage were advising the beginner not to make a lap of pitch, but I didn’t listen, because of extensive research and tips of the actual process. You may wonder why I said “wax” in the preceding paragraph. That’s because a lot of people have made wax laps over the years, mainly of beeswax. I’m not sure if you can purchase beeswax sheets anymore, but maybe some are still around. The beeswax lap serves as an economic alternative to the traditional pitch and is easier to make (not anymore unfortunately). On to my lap making process! The first thing to do is to open up the pitch package, put it in an old pan, and heat it very slowly. Because I am trying to be as economic as possible, I decided to purchase a synthetic lap, Acculap Pitch. I bought the intermediate grade as it is best for laps of this sort, which can be purchased here. While the pitch is heating, the surrounding area should be covered well in newspaper (see above photo). Also, I got a large bowl and put hot water in it, then the two glass disks. This is probabilistic one of the tensest parts of making the lap, for if even a single drop of cool water gets on a glass disk, it will crack it and it’s over. Luckily, that did not happen. Be sure to watch the pitch lap closely, and I meant it when I said to heat it slowly, because I became a little impatient and heated it too fast, and it started to bubble, which hardens the pitch. Fortunately, the addition of turpentine can bring it back to it’s normal hardness. But be careful if you do this to not get any in the flame, because of the explosive properties of turpentine. The reddish hue is due to the Rouge from the previous lap. While all of this is going on, I took a small bowl of water and filled it with warm water and a soap solution of dishwashing detergent, this will be lubricant to keep the mirror and lap from sticking while pressing is in progress. 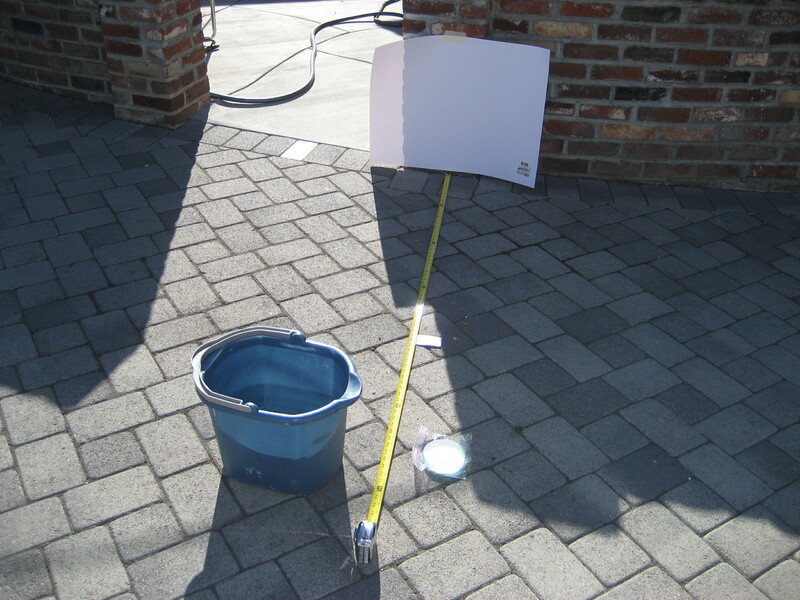 Also, when the pitch is poured, a cardboard damn will need to be made to retain the pitch on top of the tool. This was made out of a cereal box, and the glossy, printed side was facing in as its able to retain the moisture of the pitch. When all of this is finished, the pitch should be very liquidy, though still thick as pitch is. Then I removed the tool from the water bath, dried it very thoroughly to promote good adhesion of pitch and slowly poured the pitch onto the tool. I decided to have this lap much thinner than the previous lap, because if I have to scrape it off again, it will be much easier to accomplish. Now I let it sit for 5 or six minutes, for the pitch to harden enough to peel off the cardboard dam. This is my favorite part. There’s just something about the lap that really looks sharp, or as sharp as a slab of pitch on glass can look. I did not get a photograph of it, but it still remains in my mind. Now one of the most critical parts- pressing. Now the soapy water comes into play. I poured a liberal amount of the stuff onto the warm lap, then slowly set down the mirror. 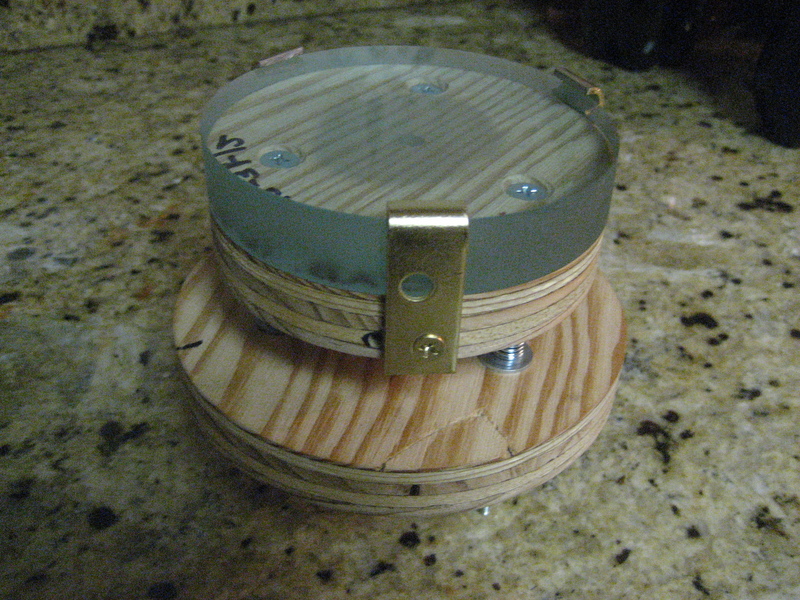 Now I move the mirror slowly around a half an inch to 1 inch in different directions, also rotating the mirror. I thought I made good contact and it feels smooth when I polish, but the edge is polishing before the center, which means the dreaded turned edge. This can be fixed, but I need to cold press, which is a process where a rouge lubricant is put between the mirror and lap and a weight is put on top of the tool to sit for 30 minutes or more. The only problem is that the lap dries rather quickly and I don’t want to get them stuck together. Getting back to the lap making, I slid the mirror off after I though good contact was made, and let it cool off for a couple of minutes, and then proceeded to cut the channels. In Amateur Telescope Making, they recommend using a razor blade to cut these large channels. They even have pictures of someone cutting a perfect, flawless lap from a razor blade. This is however, not the case. What follows is jagged, uneven impressions, and almost every time chipping off large pieces out of the face of the lap. Me and my Dad learned this making the previous lap, which by the way, my Dad is a huge aid to me during this process. So just to see, we tried a couple of lines, and it came just as described. So my Dad came up with a genius way to make good channels, a small handheld grinder. This served perfect for making neat, and good looking channels. What was most amazing to me during cutting these channels is the effect of the ground up pitch. I grinds it into this very fine fuzz, the closest thing being cotton candy. It is not the best lap I’ve ever seen, but it does it’s job like it should. For polishing, I decided to use Red Optical Rouge. I would prefer to use the faster polishing Cerium Oxide, but it’s more than triple the price for the stuff and like I said, this is a budget project. I have heard that Rouge gives a better polish that Cerium Oxide though. The main difference between grinding and polishing is that in polishing, you have to be very careful when you have the lap on the stand. It should be dust free, and the work is so delicate that dust will scratch the polished surface. You wouldn’t think there would be any chance to get dust between the disks, but there are actually many. For example, you expose the lap when you go to renew the charge of rouge. So to stop this, I put a piece of plastic or a sheet of paper over the exposed lap to keep dust to a minimum. One thing about using Rouge is that is is abominably messy. The stuff gets everywhere! And it’s all over your hands most of the time, so when you go to wash your hands with a bar of soap, the bar will be covered with rouge. It gets on clothes, doors, doorknobs, towels, even in your hair! My new goal is to be finished with the entire project by the end of the year, which is not a whole lot of time. I probably won’t get the mirror aluminized, but everything else (I’m hoping) will be finished. As I progress through building my telescope, it is important to know and understand the focal length, or distance where all of the light from the star forms into an actual image at one point. There is a simple yet effective way to do this. You don’t need much, but a checklist is helpful. As you can see, the process is so simple and straight to the point that I will agree not to explain what is being depicted. My results came out well as expected. I was aiming for an f/12 telescope, which would yield a 48 inch focal length, and it came in at 47 inches. No harm done, as an inch will not effect the performance in the least bit. As I was grinding on the weekend, I am on the last 2 abrasives; aluminum oxide 9 and 5 micron. It is said that when grinding has been successfully completed, the mirror will feel like the finest satin to the touch, and newsprint can be read through it. It’s already unbelievably smooth, and not quite able to read through, but nevermind. 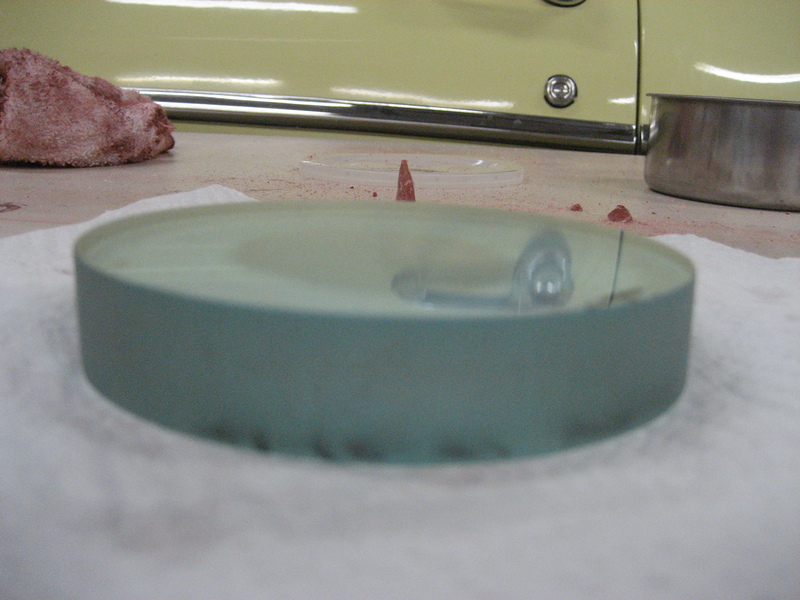 I caught a snag while finishing my abrasive: I scratched the mirror’s surface near the edge. I’m not quite sure how it happened, but my best guess is that somehow, dirt of some sort got between the glasses, and scratched. If this furrow was near the center, I wouldn’t be stressing over it as much. It takes about 3 times as long to remove such a thing at the edge than one near the center, as the glass naturally grinds out fastest at the center. Oh well. I knew that I would get a scratch at some point, but I’m happy it wasn’t during polishing, or I would have been in some serious trouble. Hope to be finishing this project soon, because I’m itchy to look through this telescope! 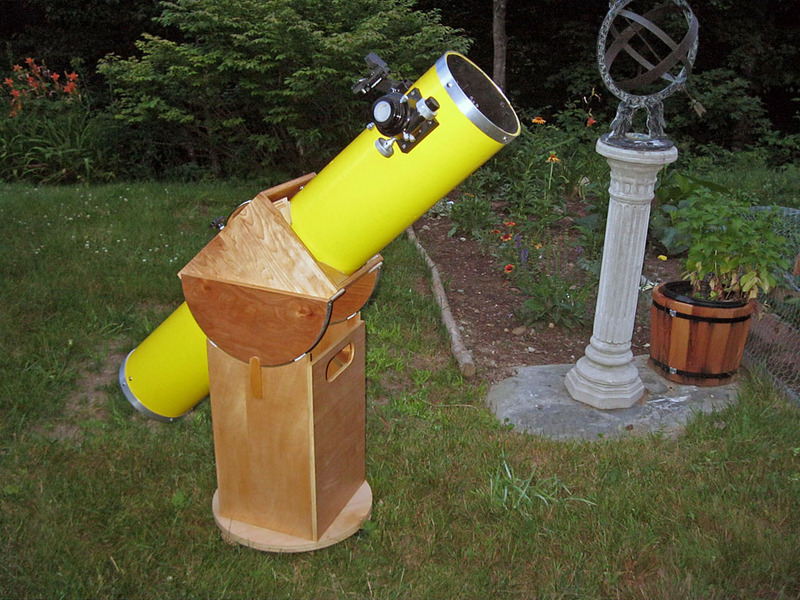 When I first got the idea of actually building a telescope in my mind, the first book I read was Amateur Telescope Making. To many this represents the pinnacle of telescope making books/guides. However, there are more out there than I once thought. For example, here is the book on mirror making that my grandpa wrote back in the 60s. It was typed with a typewriter and the drawing were all made by him, which were really great drawings. This book is the simple way on how to build a 3 inch F-12 reflector. But don’t search for this book, because I have the only one. Another good book for telescope making is Building Your Own Telescope, by Allen Thompson. I have not read it myself but many have said it is a very good reading, and can had for around 10 dollars (here). Look around, you’ll find countless books on this subject, they are not very recent, but still have the same valuable information to build a telescope from the ground up. So, the question is, which book to buy? This depends on how far you want to go as far as precision for the telescope. I reccomend a simple technique that does not require the foucault test, because it just makes telescope making a whole lot simpler. 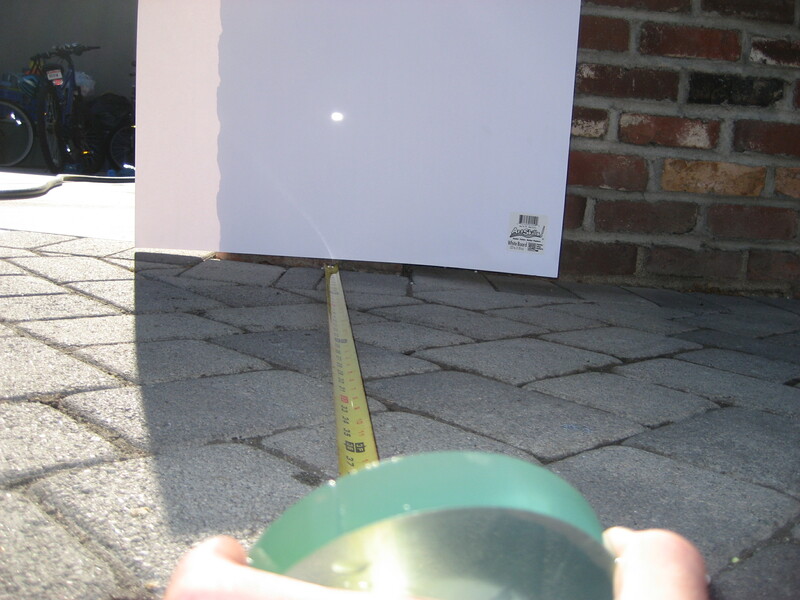 Plus, a mirror’s figure does not need to be perfect in order to observe celestial objects with satisfactory results. It has been said time and again that a considerably less than perfect mirror will perform as well as a perfected mirror, it is just a matter of conscience. 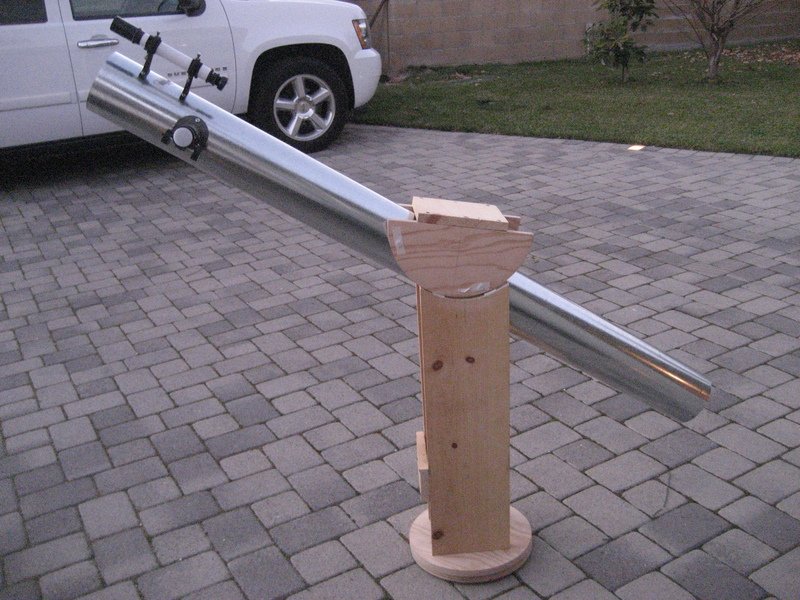 Before I got really serious about building my telescope, I was demanding for perfection. 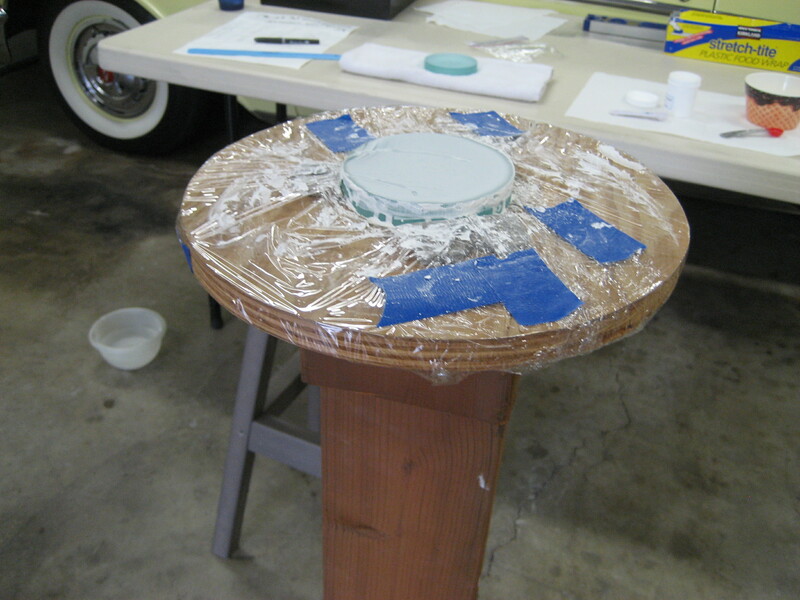 I had to do the focault test, had to have a parabolic surface, and I wanted at least a 6 inch diameter mirror. It turns out that I did not do/get any of those, and that is fine with me based on what it said in Amateur Telescope Making. Sometime in the near future, I will be putting my grandpa’s book on this website as a page, along with all of the pictures, sketches, and references. 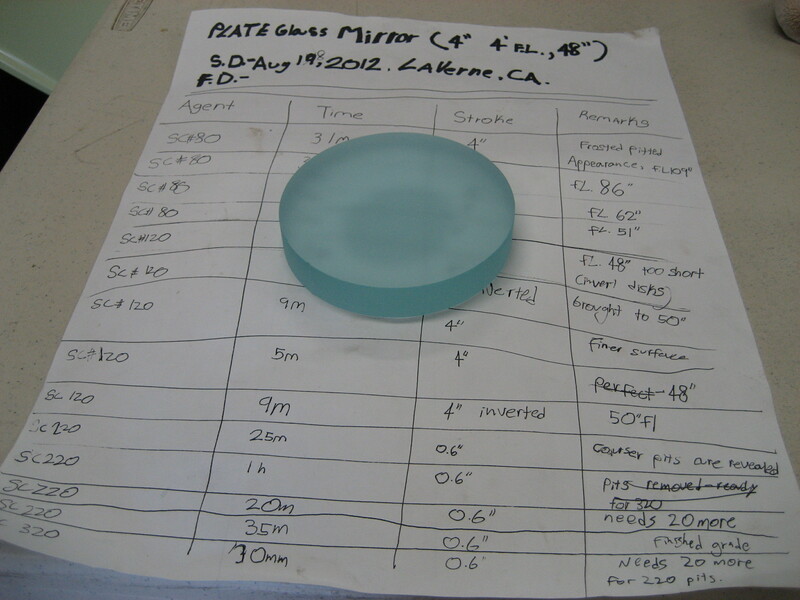 This weekend, I had been pushing some glass myself- only 2 more grades of abraisive left to go! I ground through the 12 micron today, and and hour was enough. Last weekend (and the previous post), I had thought of something that would be simple and effective in cleaning house for the next finer grade of abraisive. A simple idea really, all I did was cover the top of the grinding stand in clear plastic wrap, then set the tool in place as normal. I tried it, and it really works! Cleanup was easy as ever, all I had to do was simply pull up the tape, and lift the wrap off. Then the new wrap can be laid on and taped, ready for action. As I am progressing through these finer grades, the glass has started to lighten up a bit, and it is not as frosted as it previously was when I ground the first grade (#80 silicon carbide). I have been told that when the final grade has been finished, the glass should almost be transparent, though not quite, as polishing will remove the final grade of pits. While progressing through the project, I’ve been planning ahead for gathering the finishing materials (diagonal, diagonal mirror, mirror cell, etc) and found a place to get mirrors aluminized cheap, as well as pretty inexpensive secondary mirrors, and other components. On Friday morning, I was able to take out my 70mm refractor for a good hour and a half. I was able to get an extraordinary view of the Orion Nebula, which is saying something, because I have seen this diffuse cloud through a 14 inch reflector, so I know what I am talking about. I’d say that the view at 56 power is pretty close to the view through a 6 inch reflector. I hope to have this sketch on Astronomy Sketch of the Day, just like when I had my M31 sketch on there. All I can say is, I hope to be sketching this through my 4 inch soon. Grinding is wrapping up for my telescope mirror project. I only have 3 more abrasives left to grind through, and the on to polishing. The project is going very well, and the abrasive is like a powder. It has been rainy the past few days, so that ruled out most of the observing, but before I get into the project, I had a spectacular night with binoculars. I have a decent pair of Barska 10×50 binoculars, and there were clearings from the clouds and the rain late at night. Cassiopeia is getting pretty high up in the sky now, so that means prime observing time for the Double Cluster, NGC 869. Through the binos, it is large, bright, and resolves approximately 40 stars with an unresolved background of stars. This large bright grouping could even be sen with my unaided eye, as 2 faint small patches of light. 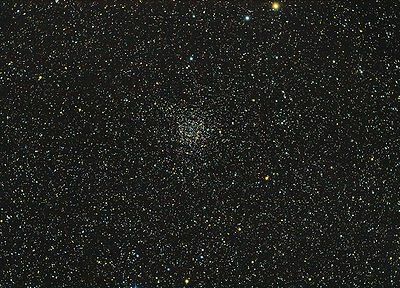 My next target was another Cassiopeia cluster- NGC 7789. It was faint, but there as an irregular glow of unresolved stars. It was nice to see a non-Messier object with binoculars. Next was M31, Andromeda galaxy. It is easily seen in the binoculars, but not naked eye. 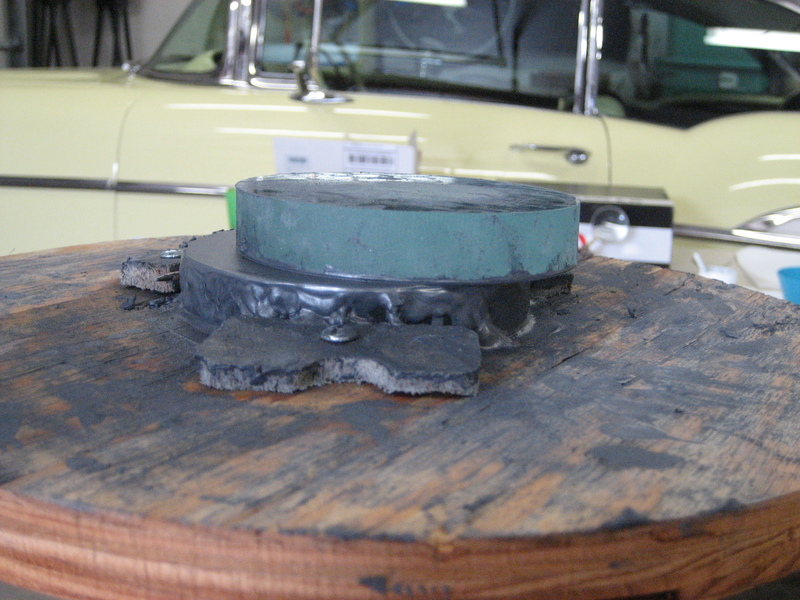 The core was bright and obvious and was very large. I could not detect M32 nor M110. 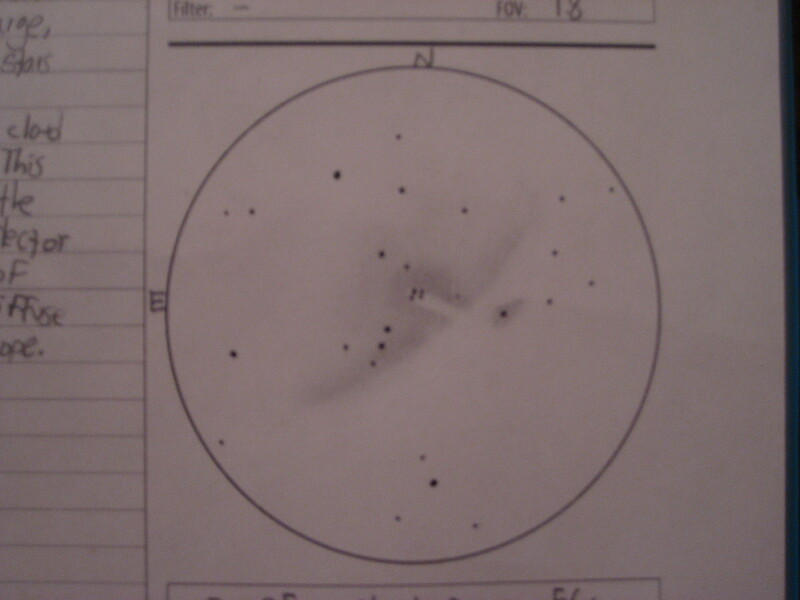 My last target was M33, Triangulum. If you observe in skies similar to mine, you know how difficult of an object this is. I started scanning the area several times, and I detected a faint oval patch of light. I had finally found M33! It was not an impressive view, but It was certainly visible. It turned out to be a great night, and was good enough for me. Sometimes, small optical devices are all you need to enjoy the night sky. The clouds came and went as the night wore on, but I was satisfied to have my look at the heavens. In the last post I set up a grinding schedule to accomplish one grade of abrasive every week. It looks like that plan is going to work. I set up my equipment and got to work. I always find it interesting to feel and study the surface of the glass closely and then grind the next finer abrasive for 30 minutes or so and then look and feel the difference. This was apparent after transitioning from Silicon Carbide #80 to #120. These are very coarse grains, but there is a big difference. It seems impossible that there are still 3 more grades left, because the surface is so smooth to the touch. I opened up the 5 micron container and sampled its size. I detected no difference in texture from the 5 micron to the 15 micron. As I was cleaning up shop for the day, I thought about just putting a layer of plastic wrap over the top of the workstand, then removing it when it is time to change abrasive sizes. That way, I don’t have to clean it outside and re-level the stand each time which would save a huge amount of time. 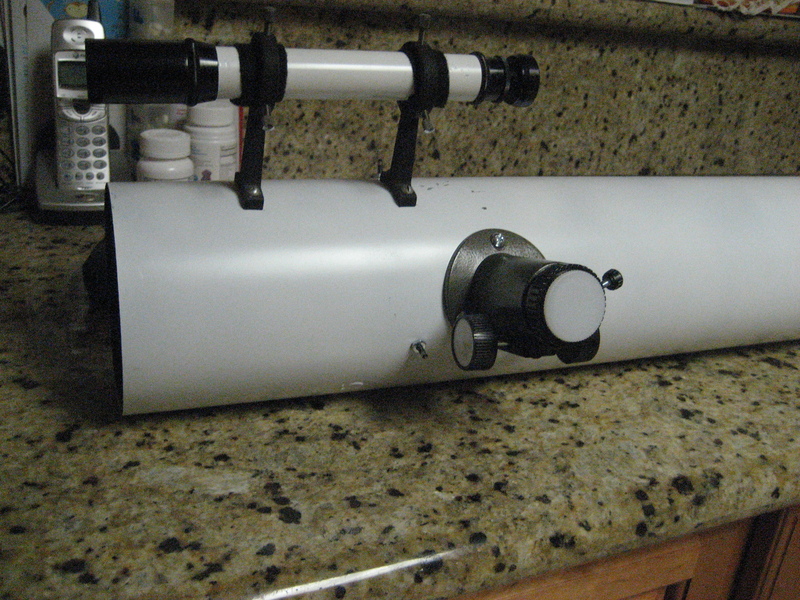 The continuation of my telescope making project is making headway. I just got all of the abrasives necessary to finish all for the grinding . I ‘m making good progress, but the going is slow. 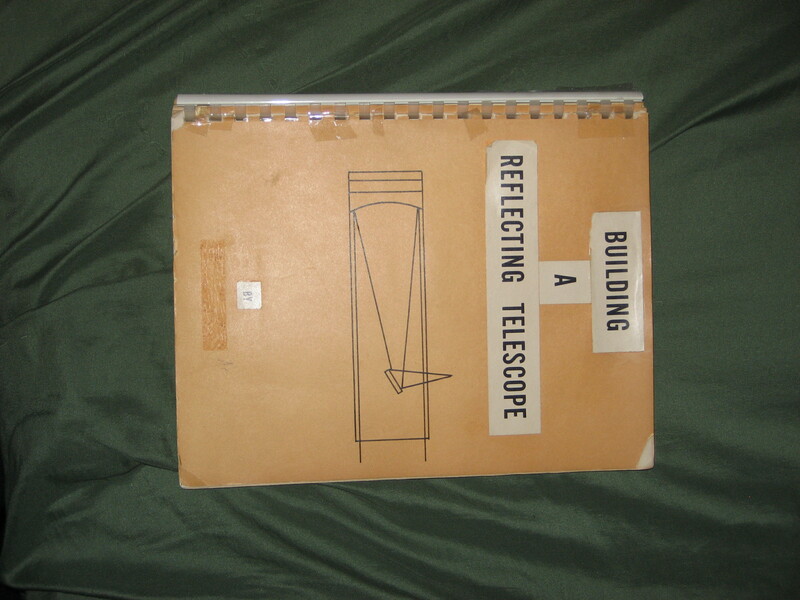 I used my grandpa’s book that he made in the 1960’s- Building a Reflecting Telescope. Don’t try to look for this book, because it was never published. 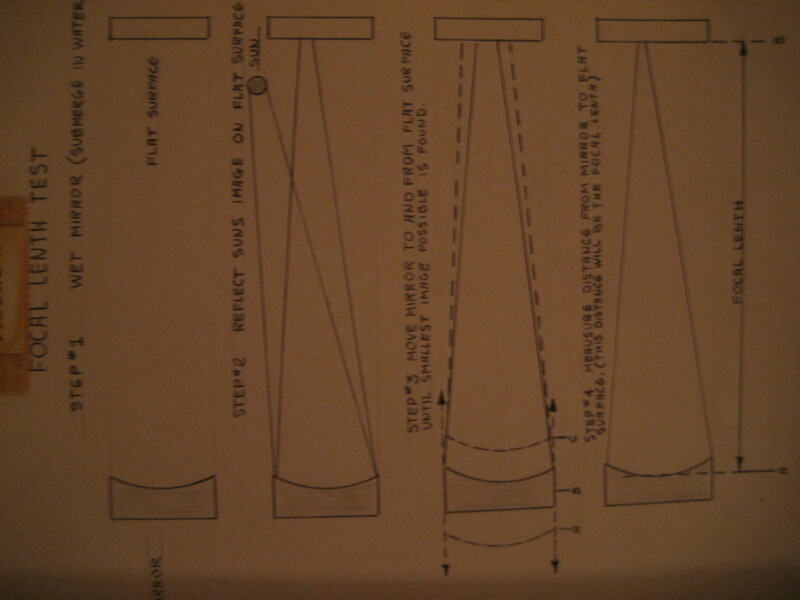 It does have some very good drawings and explains a simplified way to build a telescope. I pretty much agree with everything that they are stating here, and this “group” is the telescope making group from the Cleveland Museum of Natural History. I checked out their website, and I’m pretty sure that they don’t make telescopes there anymore. Apparently, there used to be a free program to build your own telescope from scratch, using a honeycomb foundation instead of regular pitch. The only thing I don’t agree with is the part for a beginner not being able to make a successful pitch lap. I guess that that this does not apply in my case as I have telescope making in my blood (thanks grandpa). I’ve set up a grinding schedule and I plan to follow it quite closely. I plan to grind through one grade every weekend. I have 5 more grades to grind through, so I guess I won’t finish it by my birthday, but I’m not devastated. Good mirrors take time, and that’s fine by me. On Friday, I was really excited so i made some good progress through Saturday as well. I ground my way through Silicon Carbide #320 and then on to White Aluminum Oxide 25micron. It is very strange going from this muddy grey sludge to a white sludge. The abrasive is becoming so fine that it doesn’t really feel gritty. The only similar substance I can use to describe it is powdered sugar. I have also thought about starting a new WordPress blog. I want to do a blog that is like a sketch reference website. 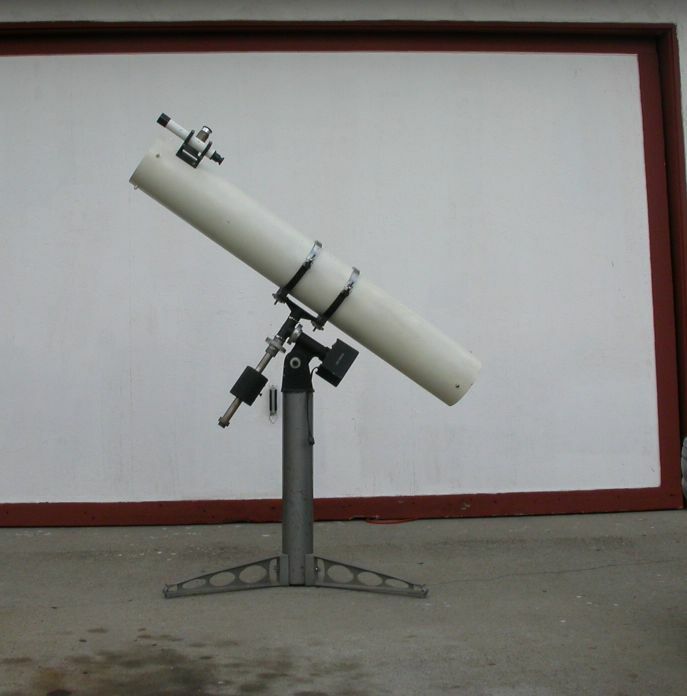 But it has to be with at least 1 small telescope, as well as with a bigger telescope. Of course, I have to have a lot of objects sketched in order to that, and I haven’t done that. I have made many sketches, but not 110, yet. Also, they would probably need to be black paper/background to really get noticed. I have heard of running the white paper sketch through a scanner and then altering it to a negative image, but I don’t have a scanner, so I guess that means I have to use real black paper. But that’s fine with me, I’ve been eager to use a different media for sketching. Hopefully, sometime in the near future I can have a sketch on Astronomy Sketch of the Day. Someday, I will make larger, more complicated telescopes as well.